Recreation is part of the full life God provides for us. Recognizing the value and blessing of recreation we provide a wide variety of recreational activities. Sonshine Community Park and Faith Haven are just two expressions. Sonshine Community Park is located on the Southern portion of our campus. Bring your young children and grandchildren to St. John's and enjoy some recreational time on our playground, or feel free to drive out to Faith Haven and enjoy the 60 acres of outdoor trails and beauty. Faith Haven is located at 7622 Townline Road, West Bend, WI 53090*. 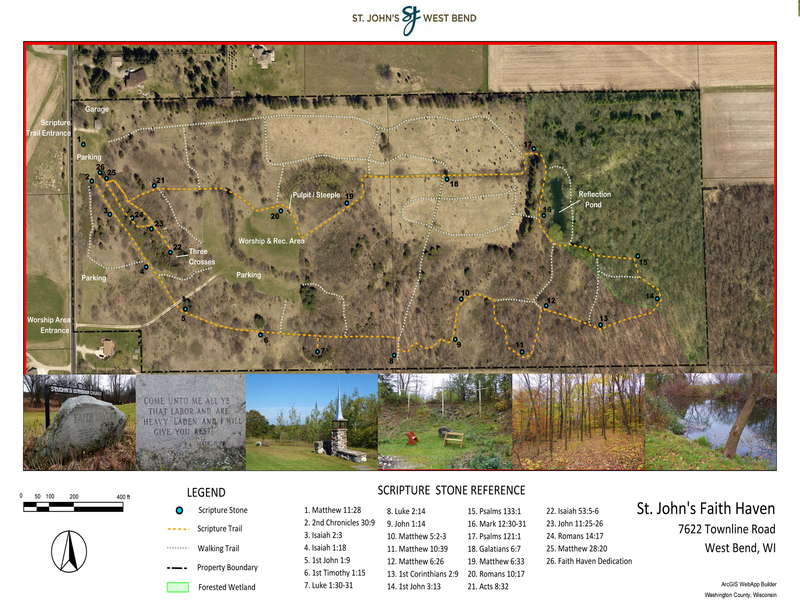 Click below to see and print off a copy of the Faith Haven Trail Map. We have Sunday evening volleyball, Wednesday evening indoor soccer, and Saturday morning basketball in our gymnasium. 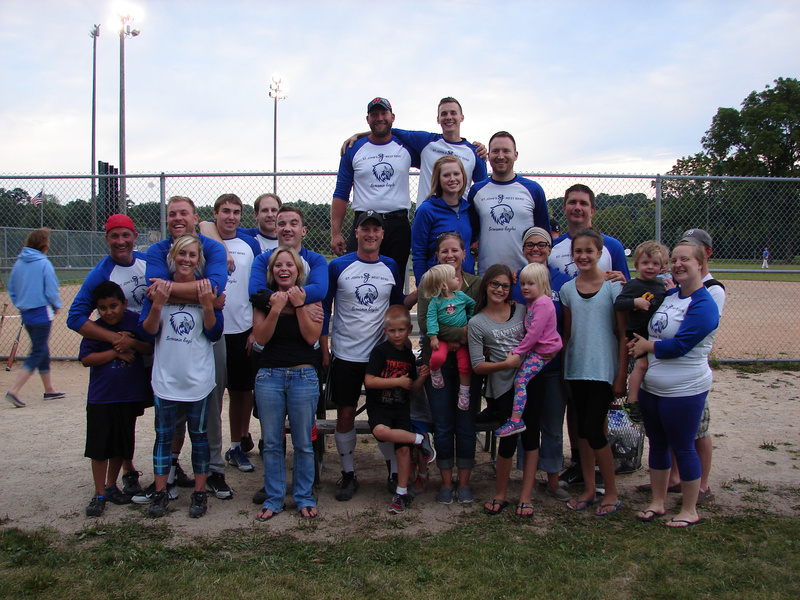 In the spring and summer we sponsor a men's golf league at West Bend Lakes Golf Course, and we have three mixed adult softball teams that play at Regner Park. For those who love the Wisconsin outdoors we have a men's and a women's trap team. And those who are looking for less strenuous activities might consider joining our book groups, knitting groups, and crocheting groups.